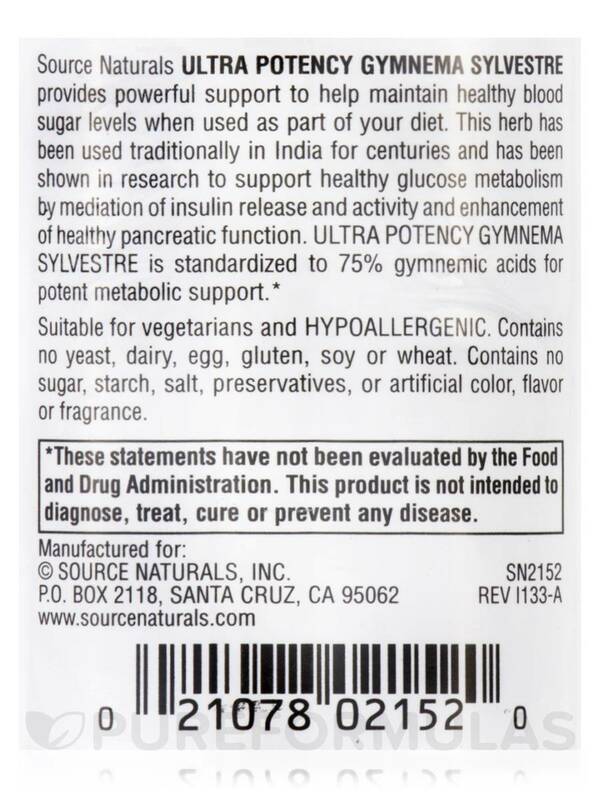 Ultra Gymnema Sylvestre by Source Naturals could regenerate the pancreas cells as well as Indian Kino. My mother hasn't seen a drop in her blood sugar yet but maybe it will work in the future. 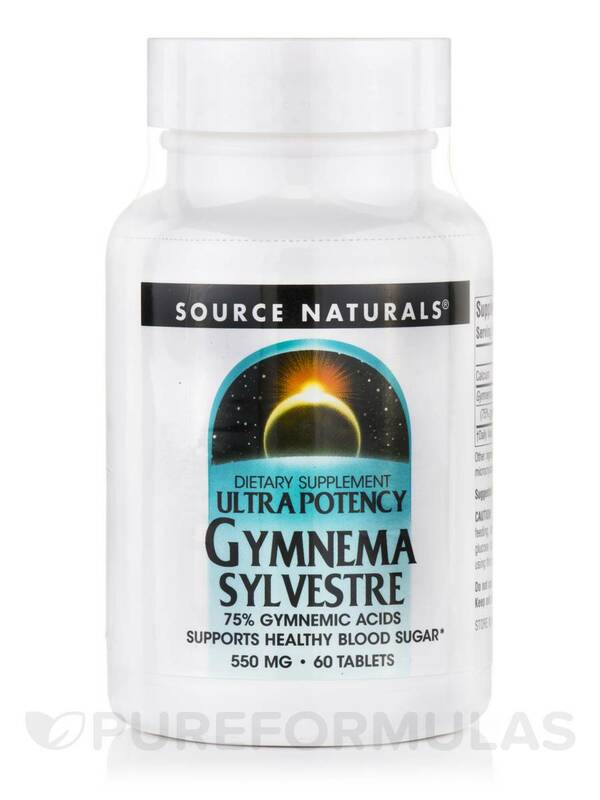 Source Naturals Ultra Potency Gymnema Sylvestre provides powerful support to help maintain healthy blood sugar levels when used as part of your diet. This herb has been used traditionally in India for centuries and has been shown in research to support healthy glucose metabolism by mediation of insulin release and activity and enhancement of healthy pancreatic function. 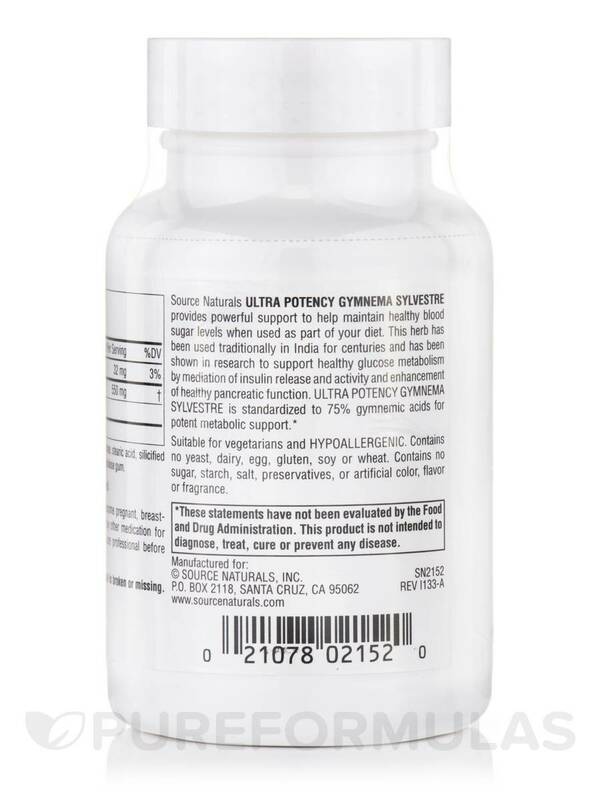 Ultra Potency Gymnema Sylvestre is standardized to 75% gymnemic acids for potent metabolic support. Other Ingredients: Dibasic calcium phosphate‚ stearic acid‚ silicified microcrystalline cellulose‚ and modified cellulose gum. Suitable for Vegetarians and Hypoallergenic: Contains no yeast‚ dairy‚ egg‚ gluten‚ soy‚ wheat‚ sugar‚ starch‚ salt‚ preservatives‚ artificial color‚ flavor or fragrance. 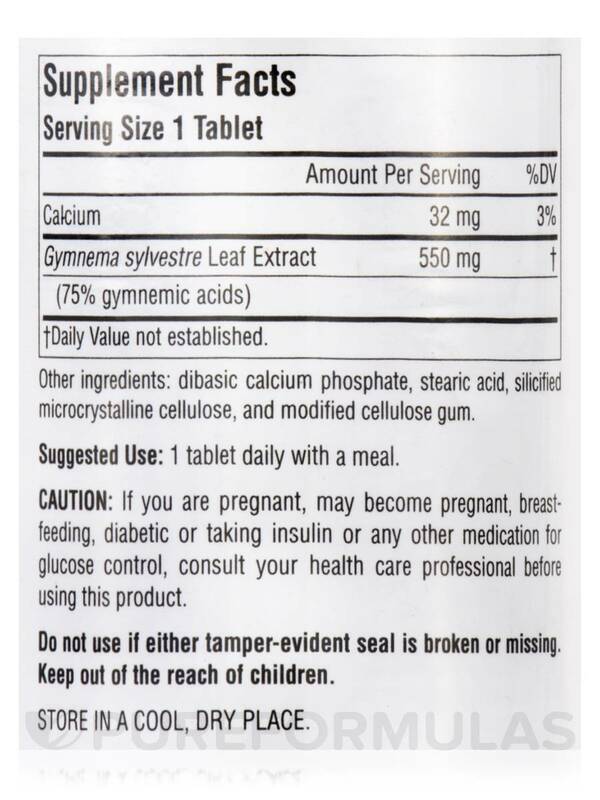 If you are pregnant‚ may become pregnant‚ breastfeeding‚ diabetic or taking insulin or any other medication for glucose control‚ consult your healthcare professional before using this product. I did not see a lot of results from using Ultra Gymnema Sylvestre by Source Naturals, replaced with different brand. Affordable, good formulation backed by science. I have tried several brands of Gymnema and this particular brand is amazing! Source Naturals is more effective, and the quantity for the price is excellent. Ultra Gymnema Sylvestre by Source Naturals is far superior than off the shelf grocery store brands. I could feel the effectiveness of the supplement the first time I took the gymnema. 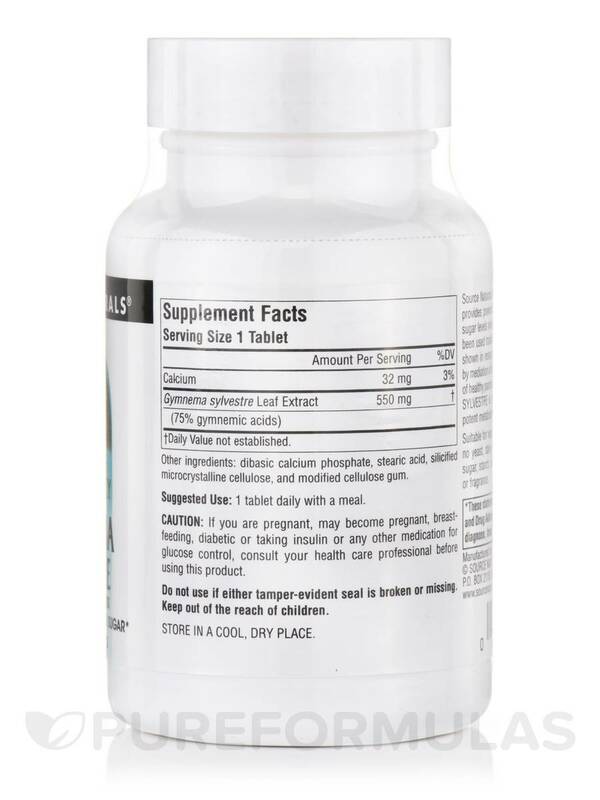 Ultra Gymnema Sylvestre by Source Naturals is easy to swallow and it does relieves sugar cravings. Still seeing if it will help bring down glucose levels.